Now that you've reviewed the year so far, you have probably recognized some things that did not turn out as planned. How do you feel? Do you feel horrible about that? Crushed? 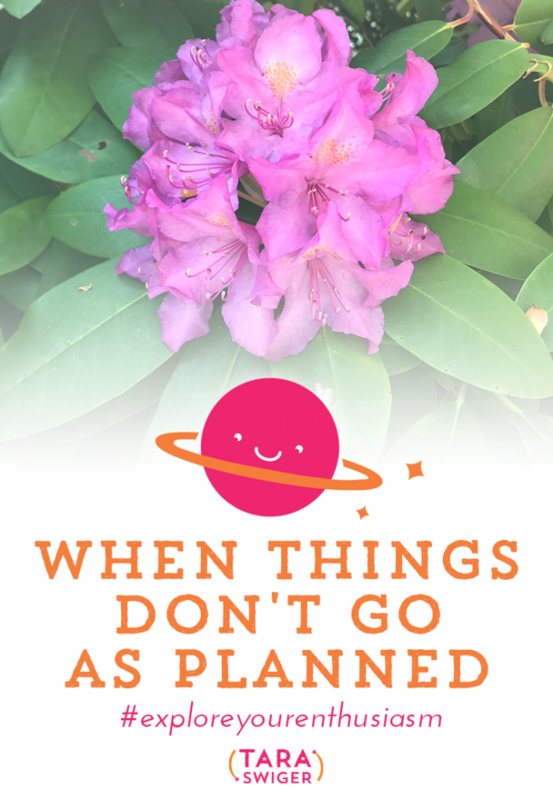 How do you handle it when things don't turn out as planned? They happen. I've heard from a lot of you that you actually skip doing your monthly or quarterly review, because you know you didn't hit your goal and you don't wanna acknowledge it. But here's the thing: You have to acknowledge where you are in order to move forward. You have to come face to face with both disappointments and triumphs so that you can make an effective plan for what's next. I lead all new Starship Captains through Chart Your Stars before we make a plan or take classes because getting oriented in where you REALLY ARE is the most important step. Nothing can move forward until you know you're starting from. In the spirit of acknowledging those goals-that-don't come true, the disappointments and how hard it is, I'll share a story in my own life, that's been unfolding over the last 3 years. As many of you longtime listeners know, 3 years ago, Jay quit his office day job to work part-time in my business and part-time in the local comic shop, that we intended to buy. We were both super excited – I was proud because this meant that my biz went from being around 70% of our income to 100% of our income. I think this is especially meaningful to me, because SO MANY people assume that my husband has been supporting me financially throughout my business. He has been supporting me emotionally, but my biz income has always been 60% or more of our annual income. This is my own thing I need to work on – I need to not care what people think and the stupid assumptions they make. But, ya know, it felt good to answer the “and what does your husband do?” question with “he works in my business”. He was excited, because this allowed him to learn the comic shop business, while getting to know the people who would be his customers and build relationships. But, after 2 1/2 years…it didn't work out. The owner didn't give us what we needed for the banks, when we needed it and it became clear (to me) that he wasn't ready to sell. After 6 intense months of it almost happening, but with lots waiting and hoping, it was official – we weren't going to be buying the shop. This was September 2017. That was a huge disappointment. And Jay needed to take time to just grieve that (it helps that we know we did everything possible and by the end of the process, we just wanted it to be over). And it totally changed our lives because Jay stopped working 6 days a week at the comic shop and was suddenly home….all the time. We decided he should wait a minute before getting another job. He could do more in my business, he could travel with me, we'd have such a freer life if he wasn't tied down by hours. It would give him a chance to think about how we could still reach the dream of owning a shop, but without buying THIS shop. And we'd already been living off my income, so nothing there changed. We did have a good time – he went to San Francisco with me in October, then we spent a week with my parents in Oregon. We had a great holiday season without the stress of juggling schedules. (All of our parents require a road trip to visit, so now we could!). But when it came to just daily work time, I have to be honest. It was really really hard. I need either total silence or coffee shop white noise and Jay is…chatty. And loving. He took such good care of me and our home during those months, but it felt like I was always balancing work with family, even in hours that we both agreed should be about work. My daily routines really slid, and here's the thing – even if Jay said nothing to me all day, it just felt different with him here all day. But we didn't get much time to get used to that, because in February a friend with a sick kid asked Jay for help with his shop…and Jay stepped in. At first a little, and then a lot. I've talked about it a lot on Essential Enthusiasm podcast (you do listen to that, right? ), but Jay is an Obliger. And around April, after months of bouncing between my business and his friend who needed help, he told me: I feel I'm constantly doing what people are obliging me to do and NOT what I need to be doing to move forward on my goal (I know you obligers feel him on that). What he wanted was to feel like he was moving forward on the future comic shop and the biggest thing that would make that possible is MONEY. So although he can support me in tangible ways that will lead to my business growing, he can't directly do things in my business that makes money. No one can. I get a lot of help, I hire people to do things like edit videos and put together podcast posts, but what that does is free up my time and focus to do the stuff that directly money. For Jay to feel like he's working on his dream, he needs to see the direct result. 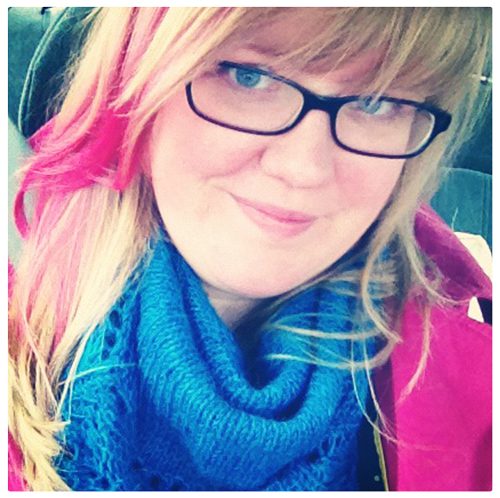 Here's another factor: I was having some…not-great-mental health months. One of the lies my anxiety tells me is that I will never feel like myself again. And that by not feeling like myself, my whole business will fall apart. And when my business is 100% of our income? Our whole life will fall apart. 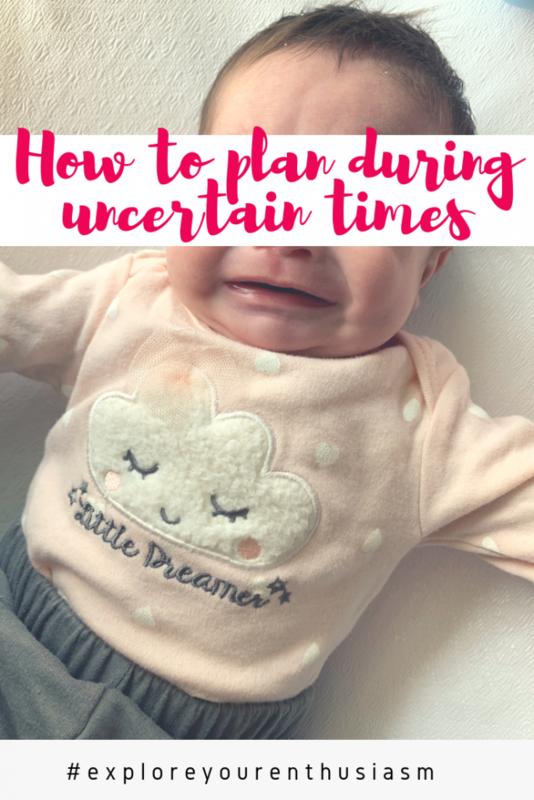 I definitely wouldn't say I felt pressured…I loved that my biz was supporting us. But when it came to thinking about growth… I definitely felt a kind of existential dread and that dread took away all of my creativity. 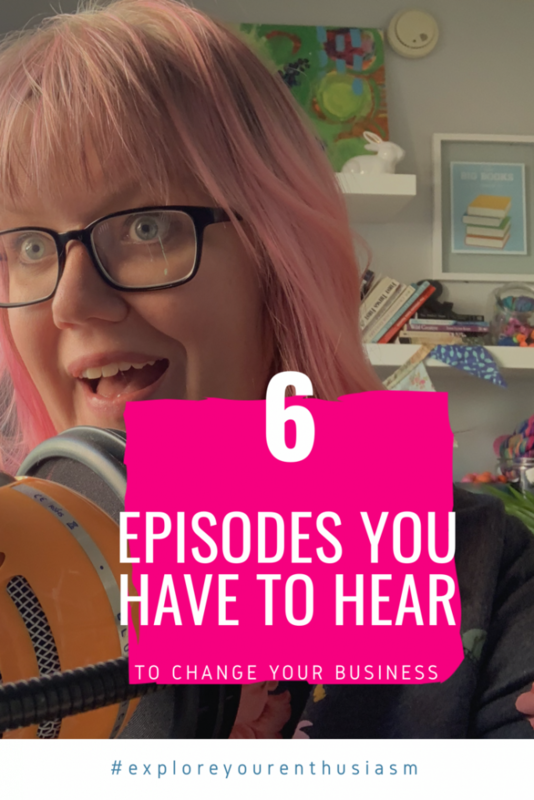 I couldn't see all these amazing ways to grow or improve my business, because I was wrapped in “OMG WHAT IF IT ALL FAILS”. So he decided to get a day job. So that he can contribute directly to our family's dreams. And this isn't going to make any sense for the international listeners, but I just have to tell you, that the health insurance was a deciding factor. Although my insurance is ¼ of Jay’s monthly pay, it’s still less than we were paying before, out of pocket. I realize for most people, getting a job that has insurance, that pays pretty well for our area, for a person with a BA in history, is ONLY GOOD NEWS. It is such a blessing. But I'll admit my biz ego was a little disappointed, because this is NOT the direction I thought we were moving. I thought we both would never have traditional employment again. We were going to own a retail shop! And yet, I have to admit, it's been great. In just the two weeks he's been working, I have gotten so much done! OMG! I am alone for 8 hours every day, which is just so restorative. And even though his job won't be contributing to our bills (we're using it pay off debt + save for the future), it loosened something in my head, it relieved some pressure I didn't know I was feeling and I have been SO much more able to be creative about the next direction in my business. I’ve had SO MUCH clarity in the last 2 weeks, it's just unbelievable. So, that is our tale of not reaching our goal and things not going as planned. I wanted to share it with you, because I think it's our tendency to look at everyone else and assume they are where they want to be. Or that things are going pretty easily. Or that if they've hit one big goal (like a six figure business), everything else just comes easily. 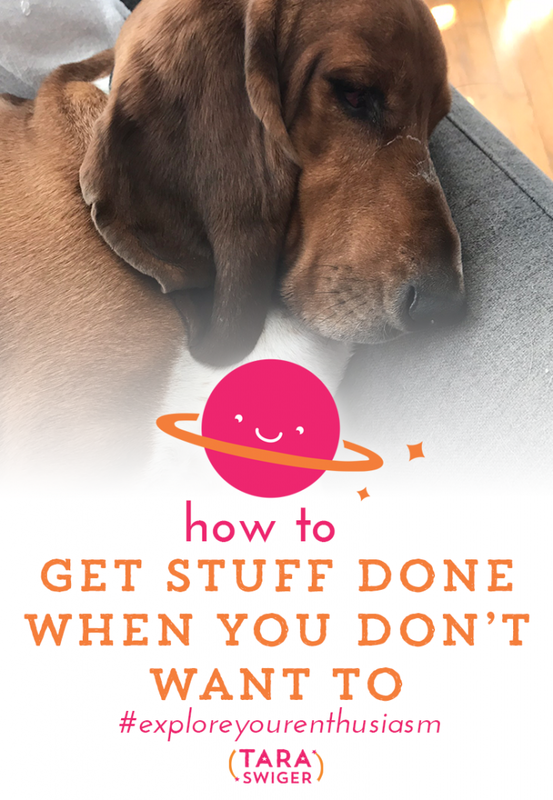 I also wanted to talk about it, because a lot of people dream of quitting day jobs, or even retiring their spouse and I gotta tell you – it's not always fun, easy or fulfilling for both people. Life changes, and what you want changes. Your mission isn't to hit some certain milestone, it's to create a LIFE that you like, and maybe a business (or maybe not!) that supports that life. My brother, who works at a tech startup in San Diego told me one time (when I was making about $40,000/year and he was making $60,000), “I don't know why you are so concerned that you do work that is what you want to do with your time. 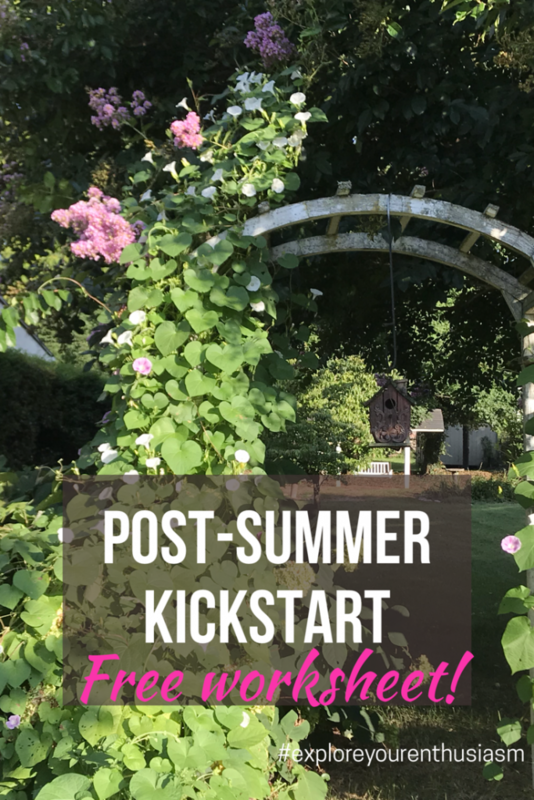 You know you could just get a job that pays enough for you to do the stuff you want with your non-work time.” At first I thought, ugh no, that sounds horrible, but then I realized – in our online biz world we romanticize loving what you're doing with every minute. But even in a business you LOVE you're going to do things you don't like. And as you build that dream? You're going to do a lot of things you don't like. You're going to work hard, you may need to do other work to pay the bills or to finance your art. By the way, I reminded by brother that I didn't get a BA in computer security like he did, mine is in French Lit. I'm pretty unemployable, and spending time grinding away while making not-much was a long term investment into the business I have today that pays me well, doing what I care passionately about. But that's not the right answer for everyone, in every situation. Acknowledging what isn't going the way you wanted, helps you get oriented to where you are now. You have to start any plan from where you are. You are not alone. It's not supposed to be different (it's easy to think “I should already be passed this” “I shouldn't have these struggles” but you’re not the only one who does). Take time to grieve and to flop about. Try things to see if they work for you. Notice what's not working for you (like Jay did) and know you can always make a different choice. Sometimes that choice might look like something you didn't think you'd do. That's ok, if it's the right next thing for you. If something you dreamed of just isn't working for you. That's ok too. You're allowed to change your mind. I thought having my biz employ both of us and having Jay around all the time would be great. I was wrong. Keep changing your dreams as you change. Don't give up. All of this is just details. Identify the BIG THING you care about, the ONE THING that matters to you and organize everything around that. As long as that is still what you want, let go of all the details and focus in on it. 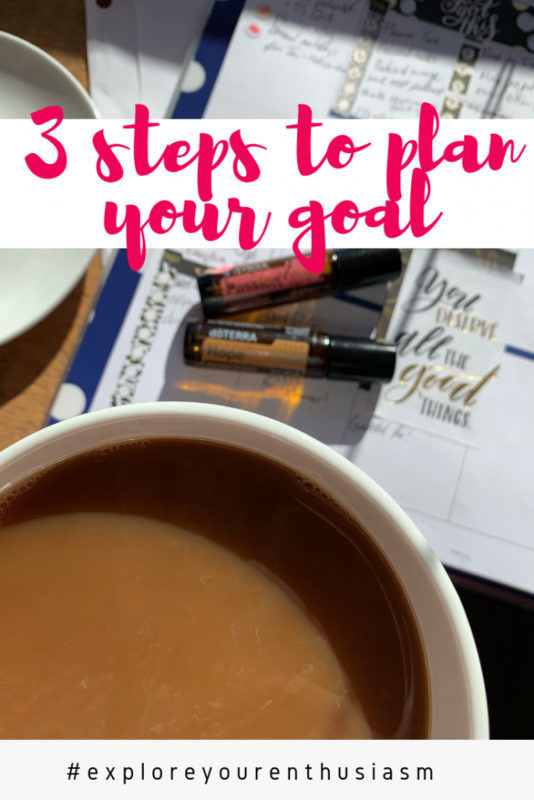 To help you set goals from this place of focusing on what REALLY matters, I'm sharing a worksheet called “Creating Do-Able Goals”. You'll find it in the form below, just put your email in the box and we'll send it right to you! When you fill out this worksheet – tell me! Share it on Instagram with the hashtag #exploreyourenthusiasm, so I can cheer you on! Loved hearing @TaraSwiger share such an honest story about disappointment. If you are listening to this episode as it’s released, on August 19th 2015 – first of all, thank you! You’re awesome. 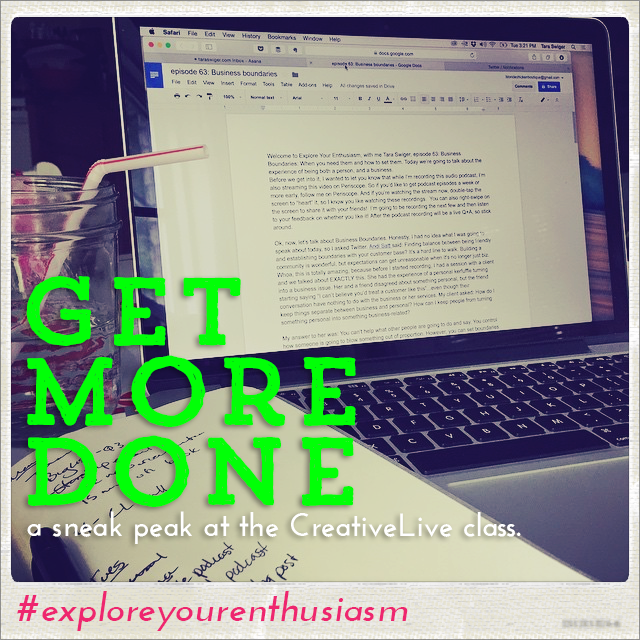 Secondly, if it’s between 9am and 4pm PST, go to CreativeLIVE.com right now and click “watch live!” and you’ll be able to watch me teach! Live! 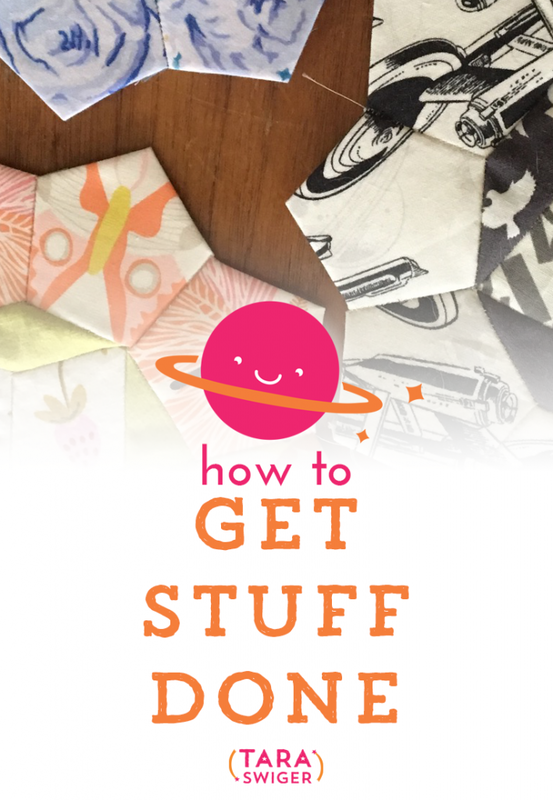 If you’re not listening RIGHT at that moment, I wanted to give you a sneak peek at what I’m teaching, so that you can start to have a more productive day RIGHT NOW. 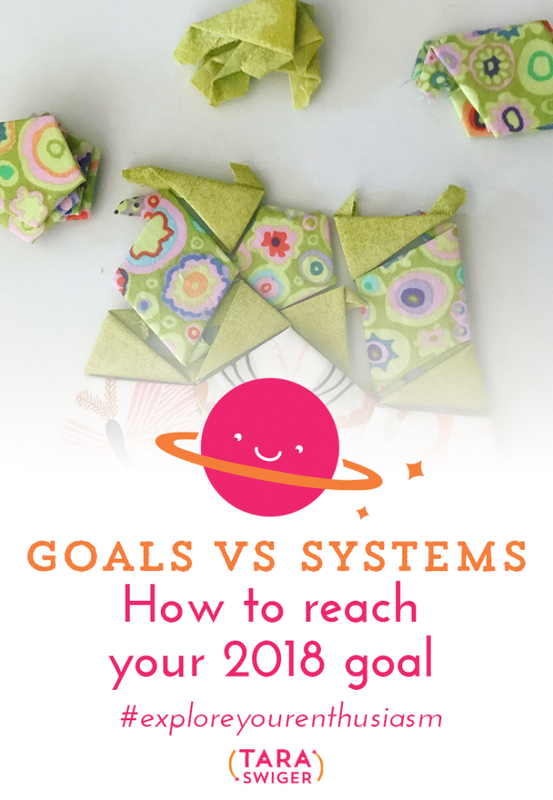 If you like what you hear, you can purchase the class here and get anytime access to over 5 hours of videos, the full 20+ page workbook, and a discount to Lift Off! Imagine that it’s the end of your workday. You close your computer, walk away from your sewing machine, put away your supplies. You take a moment to look back at what you just got done. Instead of feeling frustration, or that it’s never enough, you feel calm. You feel GOOD. You’re proud of what you got done, and you know that it matters – that it is moving you, bit by bit, towards your goal. That is what I want for you, and that is the aim of this class. So that soon, maybe tomorrow, maybe next week, you’ll get done working, and you’ll feel GOOD. 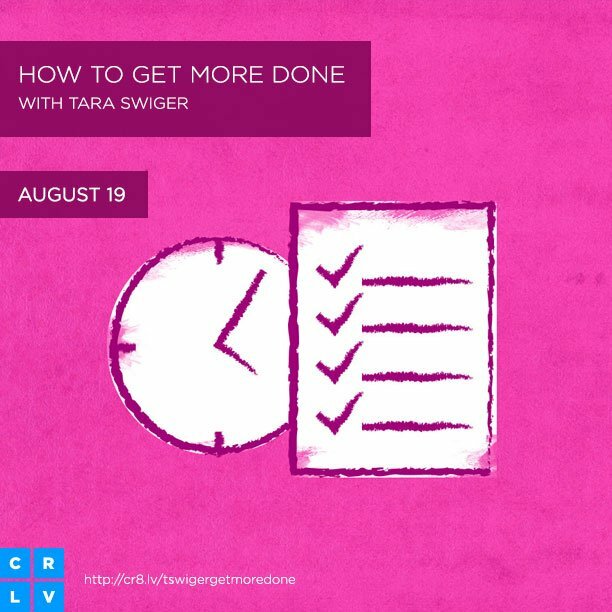 In this episode I share the Three Keys to Getting More Done.